The nine criminology and criminal justice freshmen curating the "Inkarcerated: Creativity Within Confinement" show pose for a photo. They have been preparing for their project since the fall 2016 semester. 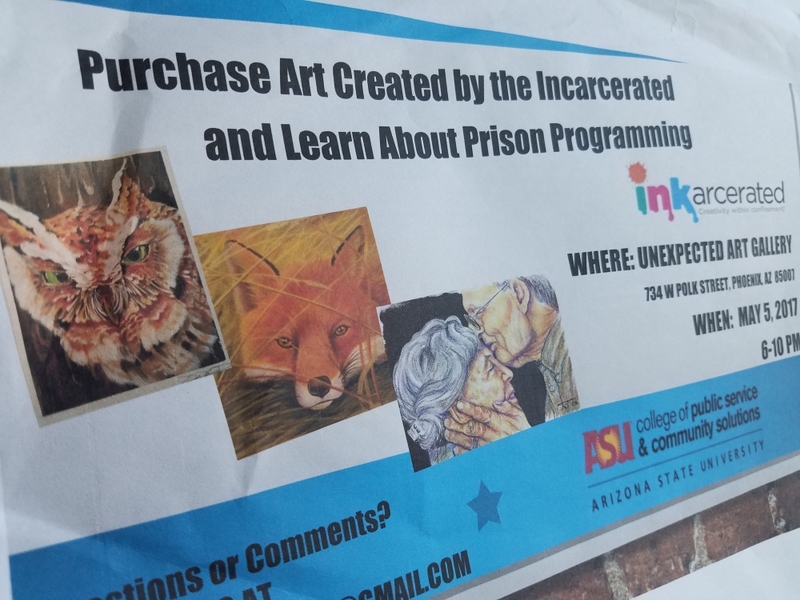 Nine freshmen in a project-based class, ASU 140 "Prisons: Getting Out and Staying Out," are preparing to host an art show with artwork created by prisoners. "Inkarcerated: Creativity Within Confinement" will take place May 5 at the Unexpected Art Gallery in downtown Phoenix. The show will display about 50 to 70 pieces of art in different mediums created by inmates at the Arizona State Prison Complex in Florence, Arizona. Kothe said one of the programs in the prison includes a "hobby shop," a platform for inmates to create art. Through the hobby shop’s optional eight-week course, an inmate teaches others how to draw and paint.